King Peggy has the sweetness and quirkiness of The No. 1 Ladies' Detective Agency series and the hopeful sense of possibility of Half the Sky. 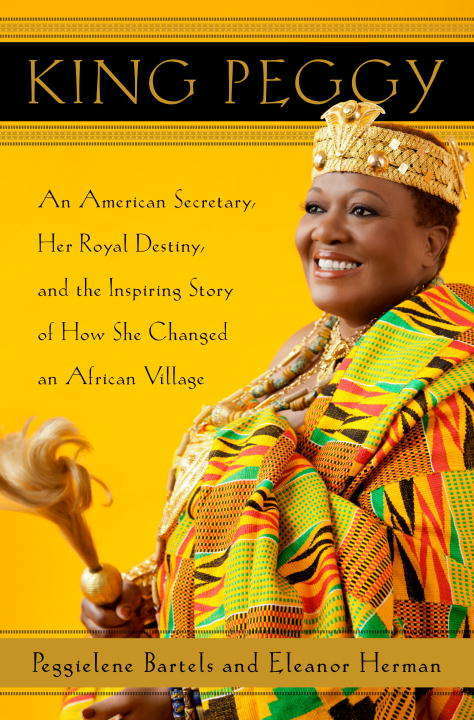 King Peggy chronicles the astonishing journey of an American secretary who suddenly finds herself king to a town of 7,000 souls on Ghana's central coast, half a world away. Upon arriving for her crowning ceremony in beautiful Otuam, she discovers the dire reality: there's no running water, no doctor, and no high school, and many of the village elders are stealing the town's funds. To make matters worse, her uncle (the late king) sits in a morgue awaiting a proper funeral in the royal palace, which is in ruins. The longer she waits to bury him, the more she risks incurring the wrath of her ancestors. Peggy's first two years as king of Otuam unfold in a way that is stranger than fiction. In the end, a deeply traditional African town has been uplifted by the ambitions of its headstrong, decidedly modern female king. And in changing Otuam, Peggy is herself transformed, from an ordinary secretary to the heart and hope of her community.